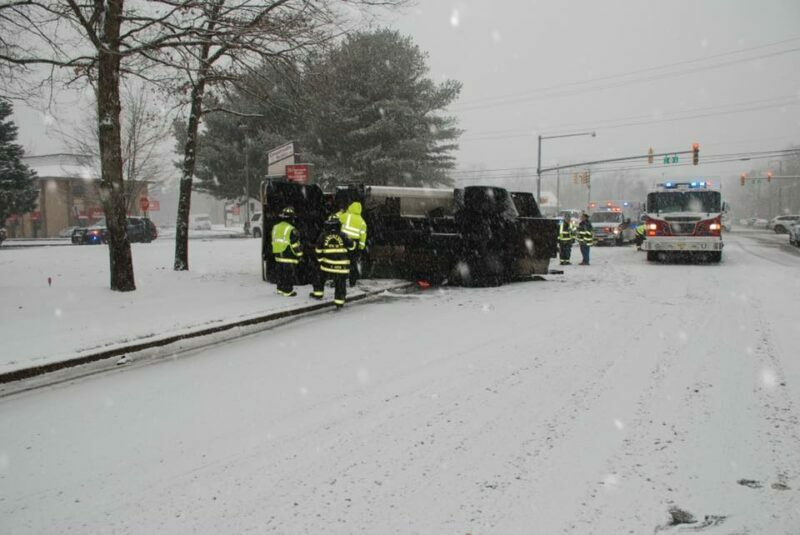 MANCHESTER TOWNSHIP, NJ-On Wednesday February 20, 2019, at approximately 12:00 pm, officers from the Manchester Township Police Department responded to the intersection of County Route 571 (Ridgeway Road) and State Highway 70 to investigate a motor vehicle crash involving an overturned fuel oil tanker. Upon arrival, officers observed a 1986, Ford tanker truck overturned on the passenger side in the southbound lanes of Ridgeway Road leaking fuel oil. 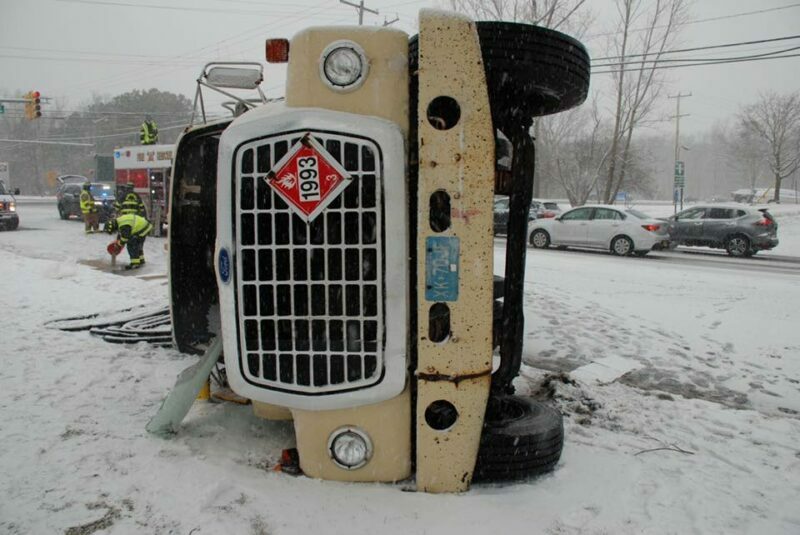 The investigation revealed that the tanker was travelling north on Ridgeway Road towards the intersection of Route 70 when the driver lost control of the vehicle and attempted to stop suddenly on the slippery, snow covered road surface. While doing so, the driver, identified as 66-year-old, Ronald Schwieters of Beachwood, overcorrected and crossed into the southbound travel lanes of Ridgeway Road. In doing so, the vehicle struck the concrete curb and overturned onto its side. While on its side, the vehicle began to leak a small amount of fuel oil. The leak was quickly addressed by the responding emergency services personnel which helped to prevent any significant impact to the environment. Schwieters was transported to Community Medical Center in Toms River for evaluation and treatment of non-life threatening injuries. The roadway was closed for several hours during the investigation and cleanup. Assisting at the scene were members of the Manchester Volunteer Fire Department, Manchester Volunteer First Aid Squad and Berkeley Hazmat Unit. Also assisting were members of the Manchester Office of Emergency Management, the Ocean County Road Department, and the Ocean County Health Department. The investigation into this crash is still ongoing, however, driver error in reacting to poor roadway conditions appears to be a contributing factor. This crash is being investigated by Sergeant Antonio Elllis and Patrolman Michael Anderson of the department’s Traffic Safety Unit.